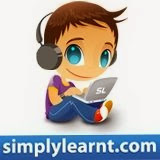 BITSAT and AIIMS test series by SimplyLearnt are getting more and more popular. AIIMS, tough yeah, but so prestigious no wonder so many people aspire and working hard towards it. AIIMS together with BITSAT are becoming a winning pair and the discount is going to be lifted very soon. So if you are preparing for this year's entrance examination, WHAT ARE YOU WAITING FOR. Is the AIIMS paper online as well? BITSAT is a Computer based online test and very few days are left for it. It is very essential for the students to have a feel of the online environment so that when the actual examination comes , they find themselves familiar with the environment. Keeping this thing in mind Career Point in association with a2zExam.com has created an Online Assessment for BITSAT exam. Here, the students can appear for an online test and dissect their performance . It provides a unique performance analysis report which involves the personalized and comparative analysis , time wise analysis and skill wise analysis. This will help the students to find out their strong and weak areas and schedule their last moment study. So what you are waiting for ! Visit a2zExam.com.